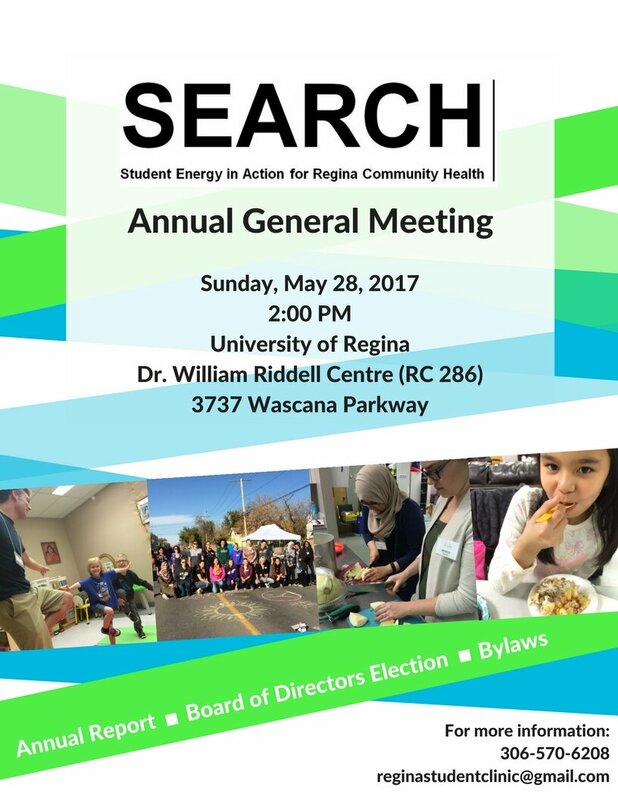 SEARCH is currently accepting self-nominations for its student Board of Directors positions for the 2017-2018 term. Interested students can email their self-nomination to this email account by Friday May 26, 2017 at NOON. Election for board positions will take place at the AGM. To learn more about board and committee positions, please visit http://searchhealthclinic.com/board-of-directors/. Questions can be directed to Kelly by email at reginastudentclinic@gmail.com or by phone at 306-570-6208.